GUY MANKOWSKI: The Psychic Terrain Of Haunted Artists. 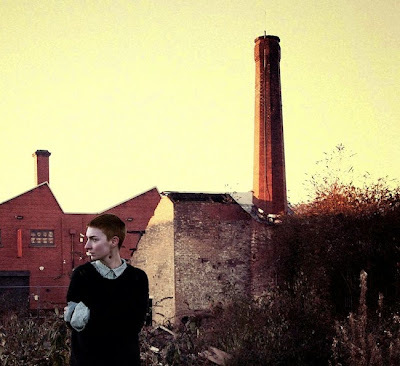 A Conversation With Lonelady. The Psychic Terrain Of Haunted Artists. A Conversation With Lonelady. When I started this blog in 2011 I posted an entry reflecting on the work of Warp Records artist Lonelady, aka Julie Campbell. In 2015, during the course of researching my novel 'How I Left The National Grid', we were introduced and we began corresponding. Our work at the time shared a psychic terrain. This terrain contained preoccupations with Manchester and Factory Records. With how the legacies of both inform the haunting aspects of the city's interzones, concrete flyovers, and tower blocks. The conversation itself teetered on the margins of semantics and terminology. Both of us have tried to make sense of these concerns using walking and words, and the brittle aesthetics of post-punk. She has also used synthesisers, guitars and other forms of music which crackle and twitch like a frightened metropolis. This interview with Pop Matters is a sanitised (believe it or not) version of the chats we had which covered this hinterland. Quite why both of us, at this point in our lives, possessed a need to tap into abandoned layers of this particular city in order to inform our work, remains beyond me. Perhaps the reader can elucidate more than I can. Thank you Rami, kind words.